We have introduced a new feature in Windplanner. Wind and sun are a logic combination in energy-transition. 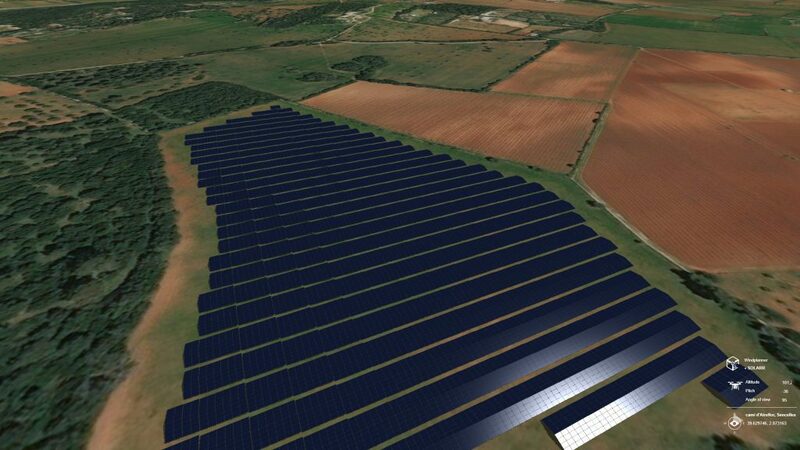 So now, it is also possible to plan and visualize your solar park (PV system) in Windplanner. – Modify your photovoltaic modules, frame settings and spacing between the arrays. 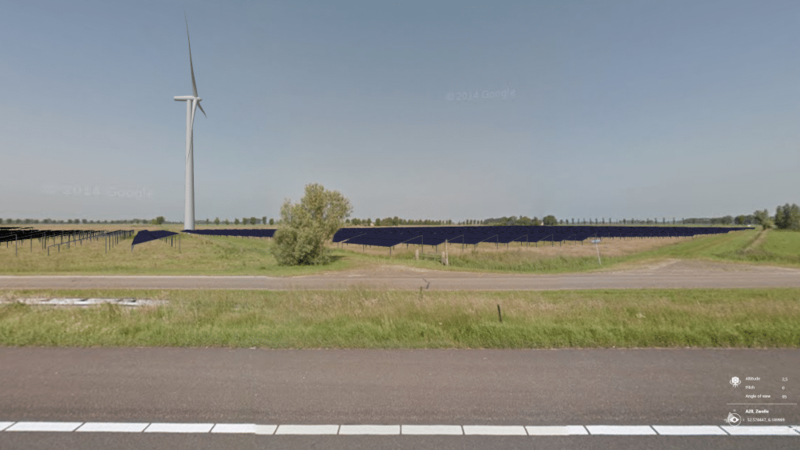 – Change the color of the photovoltaic modules. – Check out the reflection of the sun on the photovoltaic modules. – See the installed capacity in KWp and amount of arrays and solar panels. – See the plan in 3D (see above) and in a panoramic photo (see below). Currently, this feature is in beta. Normal subscription rate for the solar module will be €75 per month. For beta users, there is a discount of 25%. If you would like a high-quality visualization with mitigating measures or hilly terrain, we can help you too. With our sister company The Imagineers, we can create the visualization for you. Anywhere in the world, with the mitigating measures you require. Here, you can find an example of a virtual solar tour. You can switch between the current and future situation, and see alternative shrubs. Intersted in solar? Come say hello!